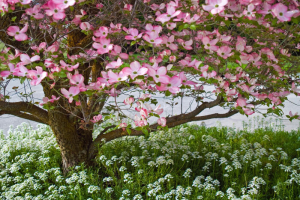 The Dogwood is not the most popular or most common flowering tree, but it has still developed a certain mystique and mythology of its very own. People from all walks of life enjoy the beauty of the blooms and twisted branches. Yet some religious groups think the flower symbolizes a lot more than just the beauty of nature. Consider the religious symbolism of this flower and the other meanings you can draw from the petals and stamens. 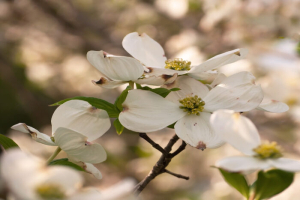 What Does the Dogwood Flower Mean? Many cultures have interacted with tree for medicine or woodworking, yet there is relatively little symbolism related to this tree except for the Christian lore regarding it. All Dogwood trees fall into the Cornus genus. 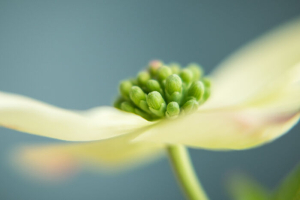 Most people use the common name for the Flowering Dogwood, or Cornus florida, that is native to North America. This variety has been bred extensively by gardeners to develop different flower colors. The European version was originally called a whipple-tree, which evolved into dog-tree and eventually Dogwood. There’s no conclusive link between the name and anything to do with dogs, but some language experts claim the name comes from a misspelling of dagwood. Dags are sharpened bits of wood used as darts, arrow shafts, or skewers, and the wood of the Dogwood tree is ideal for this purpose. The Dogwood is primarily a symbol of Christianity. Outside of that tradition, it is not considered a birth flower or used for arrangements. The Victorians did ascribe an extra meaning to the flower because the story tying the tree to the Crucifixion wasn’t written yet. A bachelor would offer a Dogwood flower sprig to a woman he felt affection towards and waited for a response. If the flower was returned, he was out of luck. A woman keeping the flower signaled an interest or mutual attraction. The flower was also a symbol of reliability and durability during that era due to the strength of the wood. 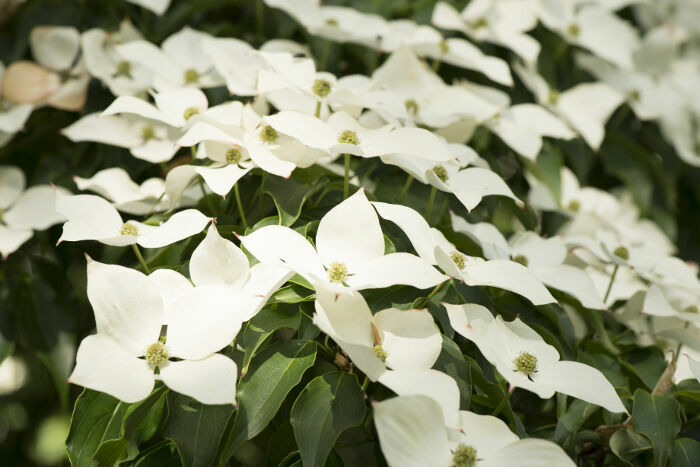 Most Dogwood flowers are pure white with rusty red spots around the edges of all four petals. The white color is considered a symbol of purity in Western culture, although it is the color of death in many Eastern cultures instead. Christian sources claim the rusty spots on the petals are the marks of the Crucifixion because they resemble blood. Pink and dark red Dogwood varieties are also available that carry more love and passion symbolism, especially in the Victorian tradition of signaling love with the gift of a bloom from this tree. 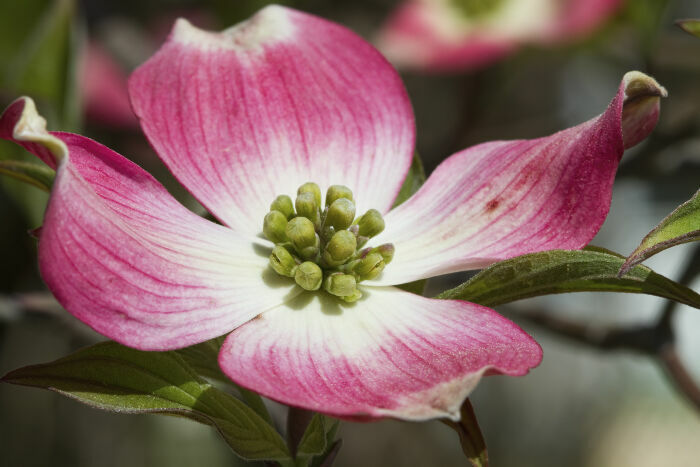 Dogwood trees were once used as a tobacco additive by some Native Americans, as well as a water treatment to stun fish for easier harvesting in Jamaica. The Jamaican Dogwood also has limited usefulness as a medicinal treatment for migraines and blood pressure conditions. American and Asian varieties don’t offer the same medicinal benefits and more safety hazards, so check the variety of Dogwood before buying an herbal supplement. We have two dogwood trees in our yard: one pink, and one white. Unfortunately, the pink one died. I suppose this is a sign not to obsess over love too much because it isn’t everything. Instead, it is best to try to remain a good person in spite of any personal problems going on. That’s how I take it, at least. my. dogwood unfortunately was planted close to what was supposed to be a dwarf cypress. Unfortunately the cypress gree vey tall and very wide, leaving my dog wood to basically die. We got this bright idea to transplant this contorted, pathetic tree and it survived, even though very odd looking. It’s about five feet tall, no foliage in the middle, but rather at the bottom and top of the tree. Years ago when I purchased it, they told me it was a red tipped dogwood. Although I feel I had been taken some what, it know has pretty white flowers on it. Should I assume that this oddity, which is a great conversation piece in my garden, could have or is a flowering dogwood?